Today is Sunday. And it is poised to get us out of the house for something other than corralling everyone down store aisles. Partially woke up. Checked the time. Realize if I get up now I can take a shower before Roman wakes up, which would be infinitely easier. This was absolutely brilliant by the way. But will it win me any achievement awards? Probably. It was truly brilliant. So I tell the girls to pick out clothes and cross my fingers that they know what they are doing. After a fight about wanting to wear the same pants, they come marching down the hallway dressed nicely. At least nothing weird stands out to me. Let’s roll with it. Make everyone breakfast. At one point Violet goes and grabs a can a Pringles and starts to open it. Got a shirt and pants on Roman. Then realized that Charity would probably want him to have a onesie underneath. I looked at the effort that would go into that, then further realized that she is not here. I remember Charity saying something about brushing Violet’s hair. It’s prone to knots. Violet is notorious for hair brushing freak outs. 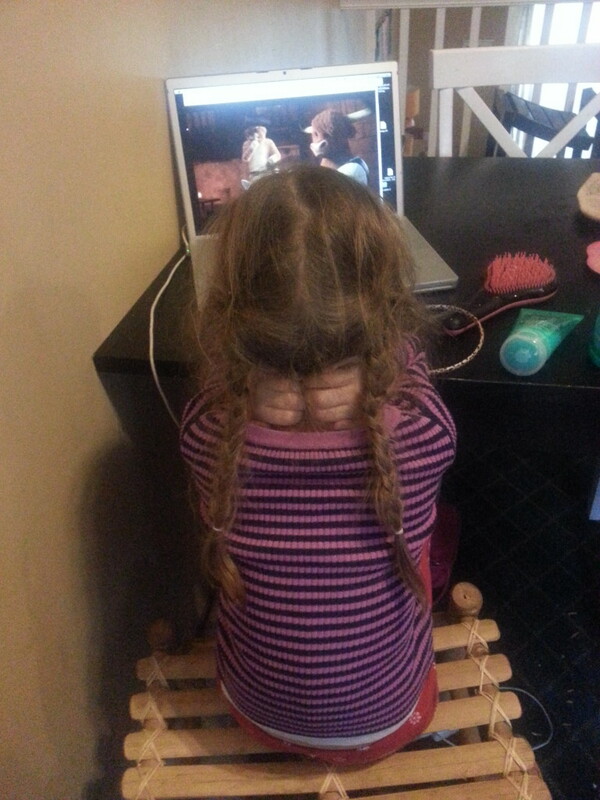 So I set her up in front of the almighty distraction, Netflix, undo her braids, and start working. It was actually quite smooth. She didn’t cry once. She did appear braced for impact the whole time. Maybe that helped too. “Nah, it’s fine.” Meaning, I’m not going to put my looks into your insecure hands. Leaving in good time for church. Actually great time. I saw this morning going way worse. Flying high. You know, all the stuff you would say to a dad taking care of three children on his own for seven days…or to someone recovering from a bear attack. Drove through Culver’s because it was that or get the kids out of the van. Chose the path of least resistance. Gave Roman some leftover beans and meat because he’s a baby, he doesn’t know that I didn’t buy him Culver’s yet. 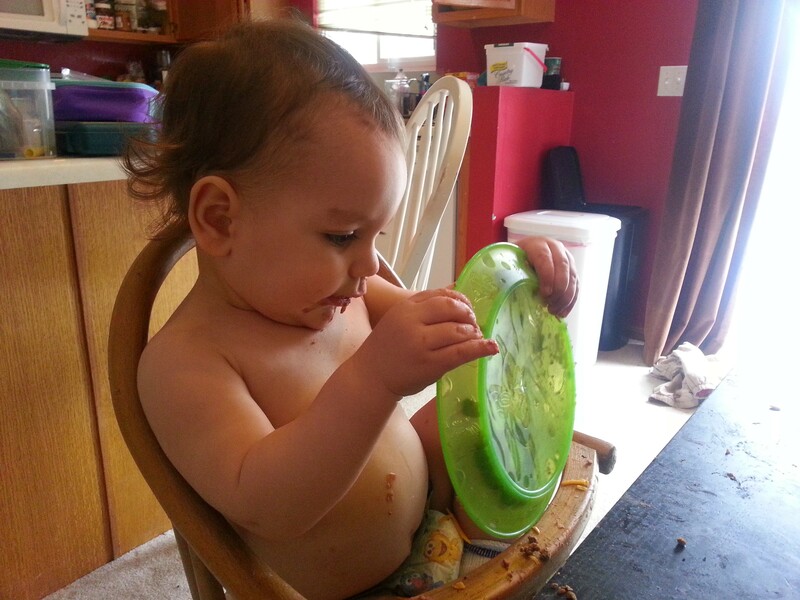 Had him eat it mostly naked because the beans are messy and wanted to preserve his clothes. This may have been the smartest thing I have ever done. 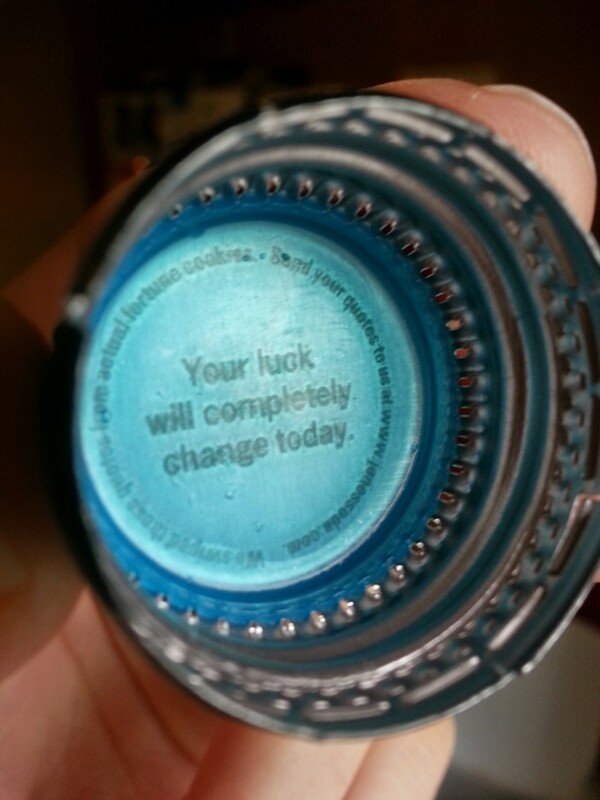 I read the cap to the Jones soda I was drinking at lunch. It had this to say. I felt my luck was going pretty well. So for it to change implied it would be swinging into the bad category. Well sorry little bottle cap, did you see that I got everyone to church on time this morning? I’m untouchable. Looked up Maslow’s basic needs hierarchy. Just focusing on the level one portion right now for my kids. Going to write it on my arm and recite it to myself periodically as a check list. Violet didn’t take a nap, she’s at that hit or miss stage. I go wake Roman up as we are needing to get ready to go to a birthday party for one of Nola and Violet’s friends. Which Charity knew about weeks ago and figured that I couldn’t handle it. Well, HA! We’re going. Bring it on. I’m King of the World! Got to the party. I forgot the homemade birthday cards the girls made for their friend. Maybe I’m Prince of the World. We had a great time. It was a dance party, so that was fun. Got everyone fed with the help of some of my friends, because they are awesome. The party is over and after finding my kids and prying them away from their friends, having them follow me to the closet and ordering them to freeze until I can wrap a coat around each one, we are ready to leave. We say our goodbyes and head to the van. We load up. I buckle and snap the thousands of car seat buckles and snaps. They tell me they had fun, Violet tells me that she has to pee. I ask Violet if she can hold it for the 15 minute drive. Of course, she can’t. I say, “Please…” She shakes her head. I should have asked her before we left, but I’m an amateur! I unbuckle and unsnap the thousands of car seat buckles and snaps. We go back inside so everyone can see that I don’t have it together, and so that Violet can pee. We finally arrive at home. I get everyone out and tell them to take their coats and toys into the house. I look around for Roman’s diaper bag, can’t find it anywhere in the van. Oh that’s right, I must have left it back at the party with my pride. A quick message confirms this theory, and now I’m thinking I’m more in the Shoe-shiner of the World category. Our gracious friends offer to drive it over, but we don’t need it tonight. I’ll drive over in the morning as penance. The rest of the night was no event. Note to self: Don’t read Jones soda bottle caps anymore. I feel like we are living your life with you. Awsome! Oh, drat. I could feel it coming, and even after the fact I kept trying to hold it off for you. Even the pro’s leave a bag behind now and then. Occasionally, they leave a baby at their sister’s house, which is really embarrassing even if she does only live upstairs in the apartment and even if you’ve only had the baby in the family for a few days. Not nearly long enough to get used to in the packing-up-and-going-home rituals. I’m speaking theoretically, of course. While that hypothetical scenario would be embarrassing, it would be easy to explain away. It would be difficult to convince someone that you thought they wanted to get to know your diaper bag overnight. There’s no explaining away that failing. Ryan – I constantly have this same inner battle about breakfast. Deep down, I know that crackers and chocolate bars are wrong, but chocolate chip waffles are right. Cookies are wrong, but Cookie Crisp is right. We could always, you know, cook steel cut oatmeal and cut up fresh fruit becau—aaaaaahahahaha! Aw, man. I almost made it through that sentence. I literally laughed out loud continuously thru this day it was “like I was there”. Your words were so engaging it brought so much to the imagination of reality!! !